A dream-like sky with soft colors is filled with birds and clouds. Tendril like vines reach up through the clouds and add color to the scene. 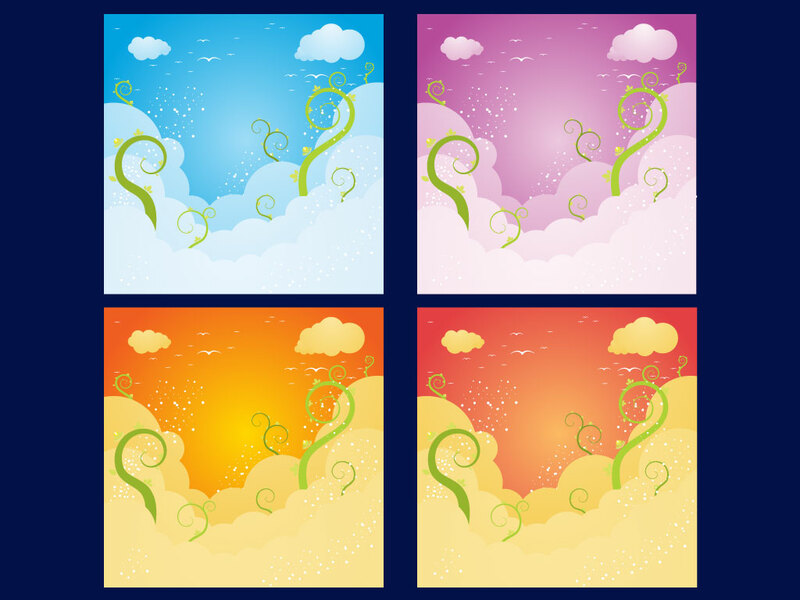 This cool background comes in four different color schemes for your use. Tags: Background, Birds, Clouds, Dream, Fantasy, Sky, Sunny, Vines.